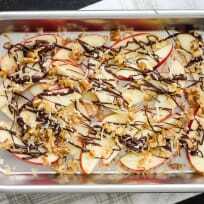 You can cook A LOT of delicious food in your toaster oven. 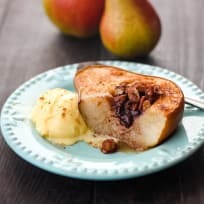 From savory southwestern twice-baked potatoes and toaster oven calzones to tempting small batches of double chocolate cookies and buttermilk baked donuts. But broccoli is loaded with vitamins and minerals, so we should probably be eating more of it. 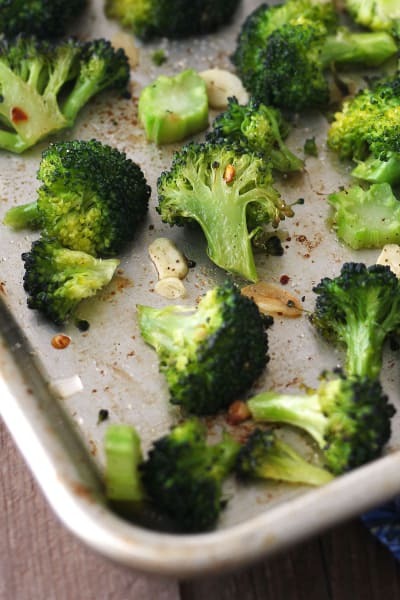 Lucky for you and me, this toaster oven roasted broccoli recipe has all those nutritional goodies, is easy to make AND tastes fantastic! My nephew, a cute little cookie with quite the discerning palate, even likes these little “trees” as he calls them. Though he’s not a fan of the almost-burnt browned bits adults LOVE. 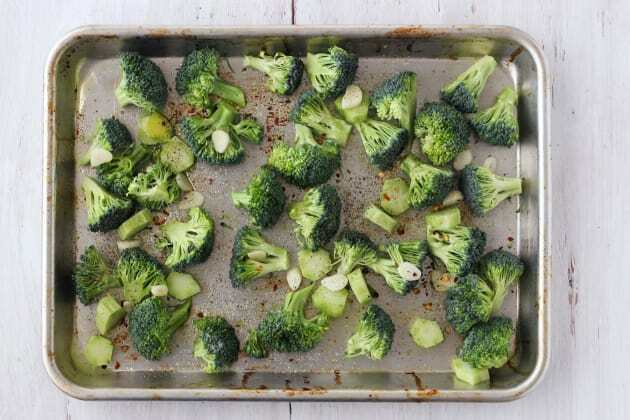 So, I always scoop off a small serving for him early (after about 10 minutes) and then put the pan back in the toaster oven until the broccoli is well-roasted for the grownups. 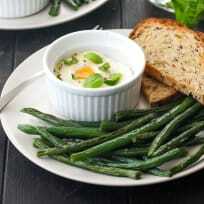 Don’t throw away the stalks, they turn buttery and creamy when roasted. 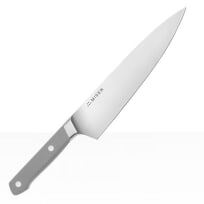 Use a vegetable peeler or knife to trim away the hard outer peel and then slice the stalks into 1/4-inch rounds. 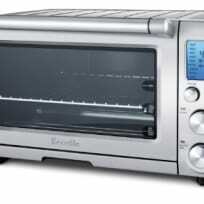 Adjust your toaster oven cooking rack to the lowest position and heat to 425°F on the “Bake” setting. 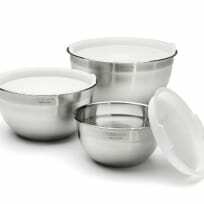 Lightly oil a rimmed baking pan. 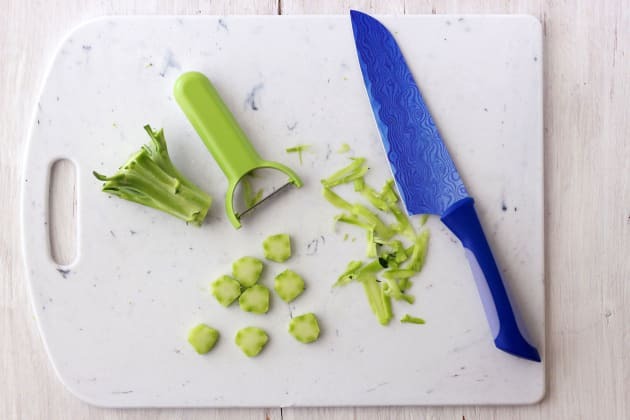 Cut the broccoli florets from the stalks and slice large florets in half or quarter. Peel the stalks and slice into 1/4-inch rounds. 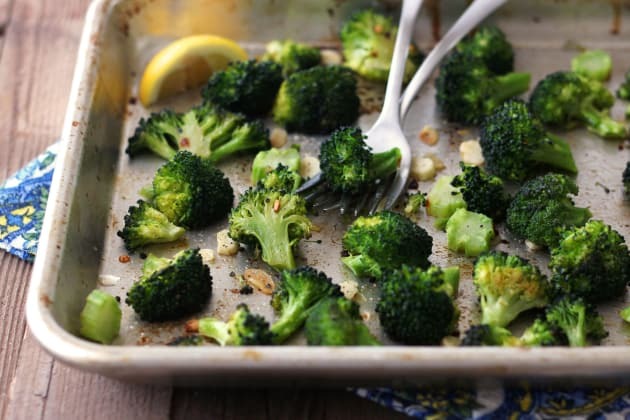 Add all of the broccoli, garlic, oil, salt, pepper, and red pepper flakes to the pan. 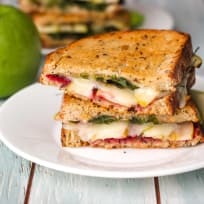 Toss well to combine and then spread in an even layer. 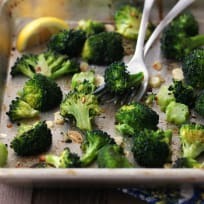 Roast broccoli until the florets are lightly browned and fork tender, about 10 to 16 minutes depending on the size of your florets and personal preference. 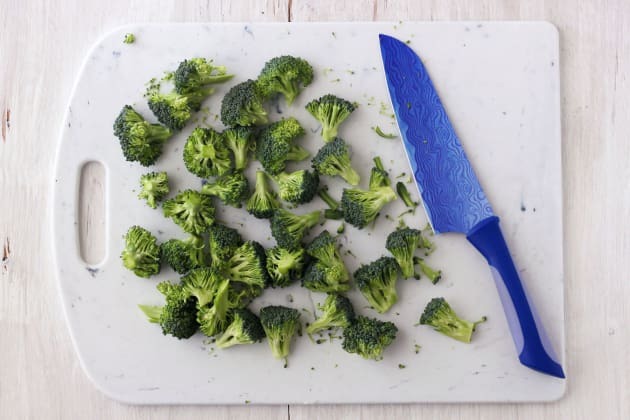 Squeeze lemon wedges over pan, add more salt and pepper to taste and toss broccoli before serving. 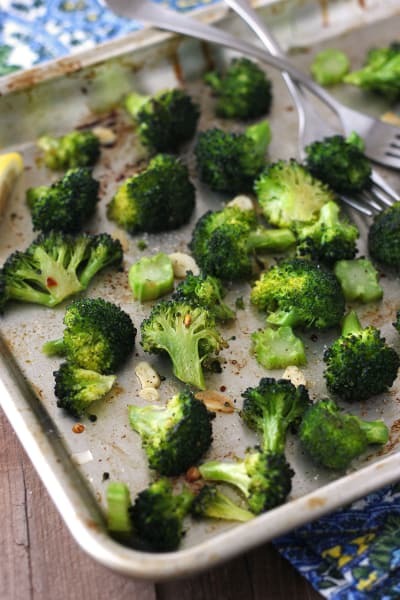 You can substitute about 3 cups of small florets for the broccoli crowns. Convection adjustments: keep the temperature at 425°F and begin checking for doneness 2 to 3 minutes earlier.